I have looked at Steve's Red Candidates and J. Williams analysis on Sarah's median. The median is purported, I believe, to be the most accurate for screening out noise. I find correlations [Rose Circles] on a couple objects that both Steve and J. William have identified. They only show up strongly on Frame 2, but I note they come through on the median, which means they are there, not noise. Also, there are a bunch of other objects [Rose Squares] that are much stronger than any of the yellow Avis recognized objects J. William has identified. 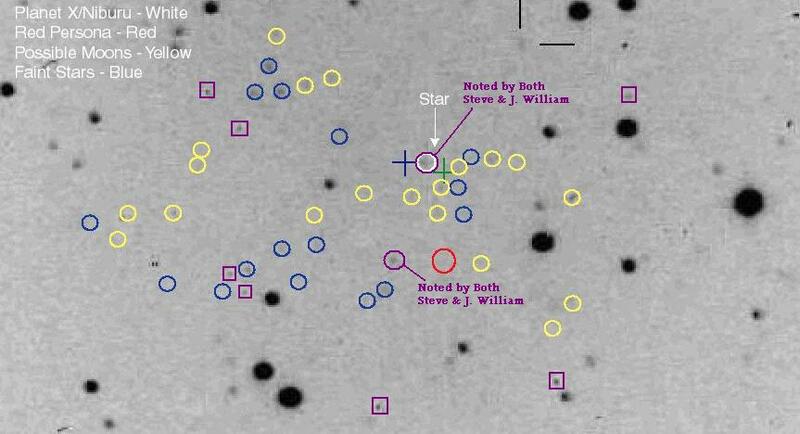 They don't seem to be existing stars or noted by J. William in yellow as new. These cant all be asteroids! On my submission: Yellow - Avis Recognized only. PX White - Avis Recognized. PX Red - Avis recognized. Faint stars were taken from Sarah McIntyre DSS image on her site. Most are not Avis recognized. On PX Red I probably overlooked the obvious!